The Fulton County Retired Teachers Association has been blessed to have several members receive special awards. Listed below are a selection of the current recipients and their special awards. 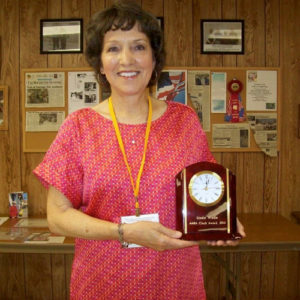 The Clock Award is presented yearly to an individual within each IRTA Area that has distinguished themselves with the greatest number of volunteer hours and with exceptional service . This is a highly coveted award. Fulton County is honored to have four living recipients. 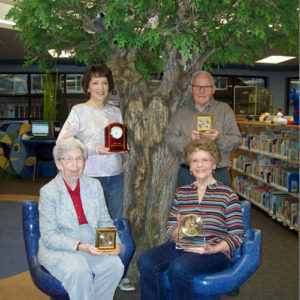 The Fulton County Retired Teachers Association has four current clock recipients. Standing are Linda Spangler Wade (2014) and Gordon Bohs (2000). Seated are Kay Horn (2009) and Ilene Howard (2012). Linda Spangler Wade received the clock award during the 50th IRTA Representative Assembly. Linda earned the award in 2014. 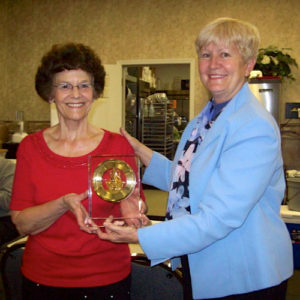 Ilene Howard (left) received the clock award from Fulton County President Jeri Good. Ilene earned the award in 2012. Kay Horn (right) received the clock award from then Area #3 Director Elaine Brown. 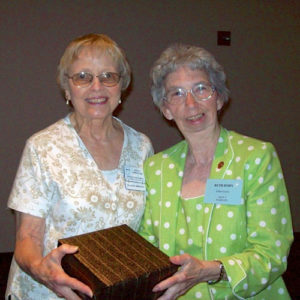 Kay received the award in 2009 at the IRTA Representative Assembly. 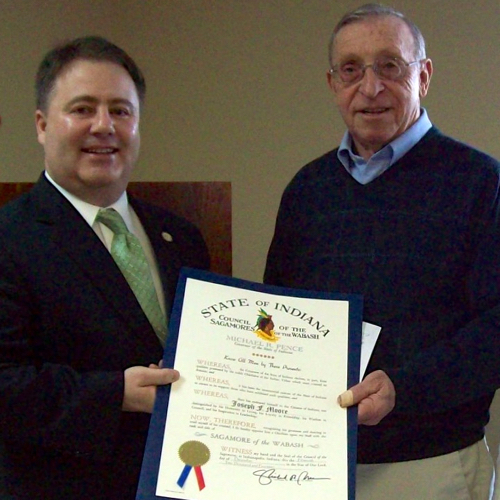 Retired Teacher and Fulton County RTA member Joe Moore received the State of Indiana Sagamore of the Wabash in 2015. Dedicating his life to serving others, Moore is an admired and respected classroom manager teaching his students mathematics and life’s lessons for 42 years. Joe Moore (right) was presented the Sagamore of the Wabash Award by the Honorable Tim Harmon for his many volunteer activities. 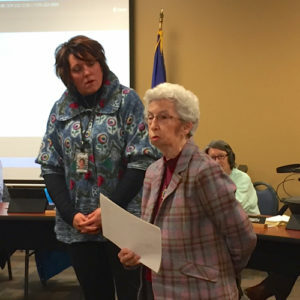 Fulton County Retired Teachers Association member Kay Horn received the Hoosier Heritage Award from Superintendent Jana Vance on behalf of the education department of Rochester Community Schools. 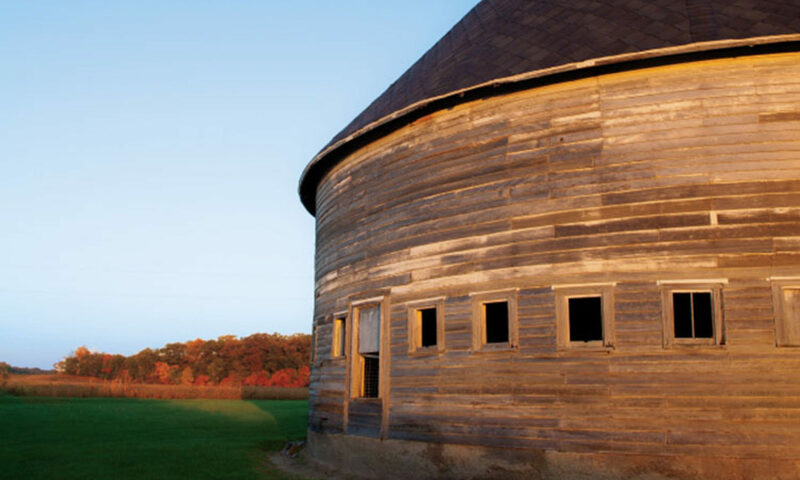 Kay Horn taught in Rochester from April 1959 until October 2001. Her grandfather taught in Royal Center for more than 50 years, her brother taught at Fairfield Schools for 33 years, and one daughter has taught for 23 years while the other daughter is the dean of academic programs at IUPUI in Indianapolis. The Horn family has and continues to devote their lives toward education. The Hoosier Heritage Award was signed by Glenda Ritz and then governor Mike Pence and awarded in October 2016. 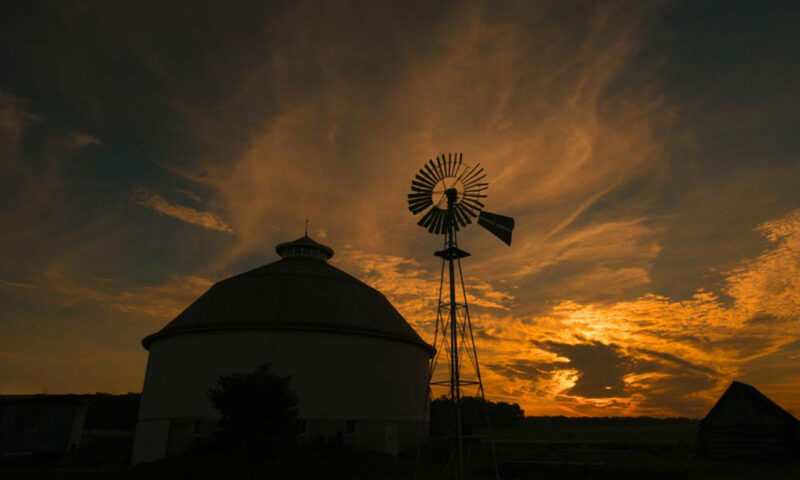 To be recognized as a Hoosier Homestead, farms must be owned by the same family for more than 100 consecutive years, and consist of 20 acres or more in size or produce more than $1,000 in agricultural products per year. 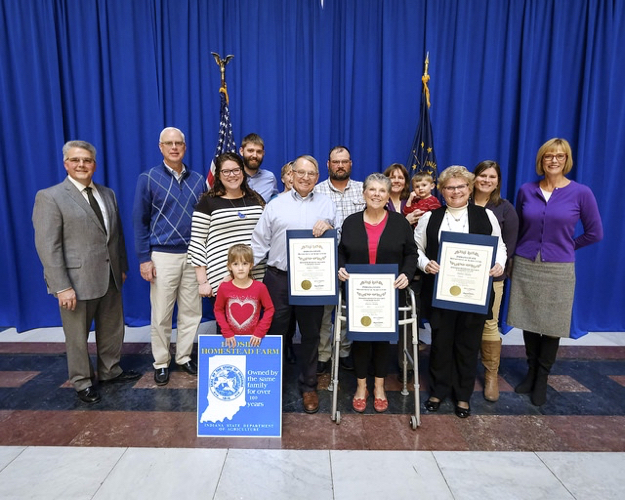 Families receiving the Hoosier Homestead award are eligible for one of three distinctions based on the age of their farm including: Centennial (100 years), Sesquicentennial (150 years), and Bicentennial (200 years). 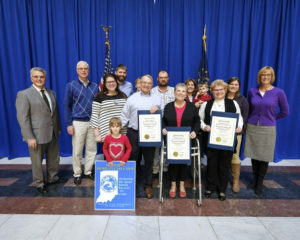 Members Betty and Mark Marten received the Centennial distinction for their Hoosier Homestead Award.